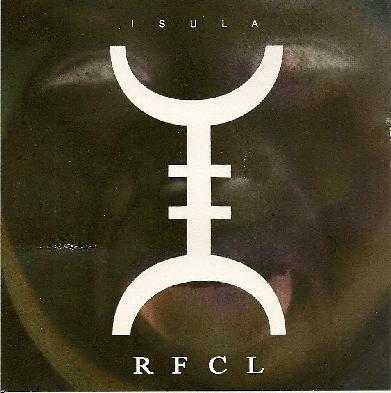 Radio Free Clear Light - "Isula"
Isula is hypnotic, ambient, minimal, repetitive, and it plays heavily on the drum and bass loop, experimenting endlessly with instrumental sound creation throughout its 73 minutes. Each of the twelve tracks has its own personality, each one is based on the same structure of drum and bass looping, but each one also offers difference between them, enough to feel that there is a motion of sound to the whole, rather than a stagnant repetition of the same thing. It feels experimental throughout, be it a rather minimal ambient one, it is an experiment all the same, and it often treads similar ground to where Saturnia have strayed so often, yet Radio Free Clear Light rest on the minimal and the repetitive more so. To me it is a meditation of sound. Headphones are advisable, as is a quiet dark place to fully get the picture of the sound. Isula is a one of those CD's that will appeal to inner dancers and to the minimal drum and bass fiends. Take the inner journey and see where you end up.